Kein Haushaltshandschuh parat? 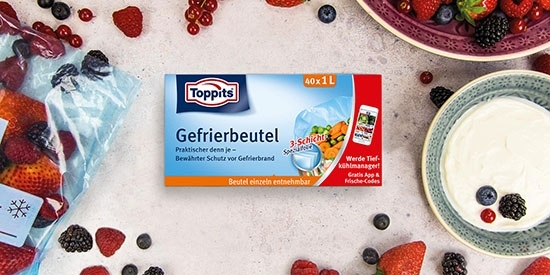 Wir haben einen Trick für dich. Beetroot is not only delicious, it is also very healthy. However, it has one disadvantage: the colour gets everywhere! After cooking, your hands look like something terrible has happened. And other vegetables can also give off their colour. Household gloves are a help. But what if you don't have them at home? We have a tip for you. 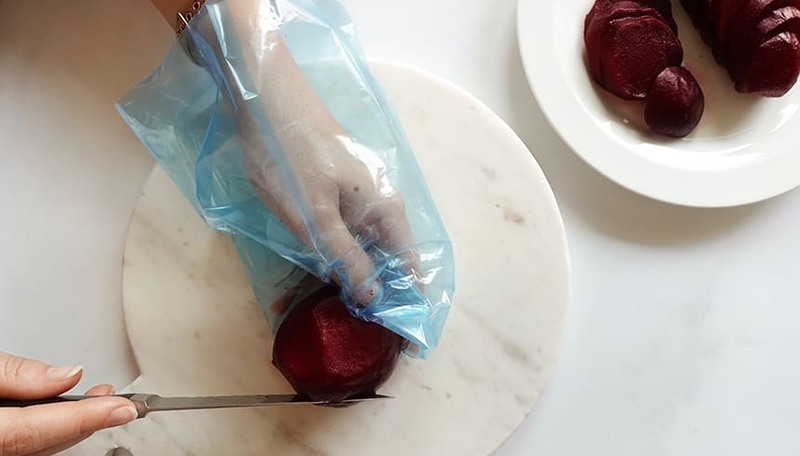 Before you start peeling and cutting beetroot or other strongly coloured vegetables, we recommend covering the hand with a freezer bag to hold the vegetables. If you want to be extra sure, you can use two - as a pair of gloves. Thanks to the soft film you still have a good feeling for the work, staining is avoided and your fingers stay clean! How to beautifully decorate your Easter table with muffin cases. How to make perfect portions of your favourite sauce with an ice cube bag.